Starting on Monday, 3 December, over 11 tons of dog and cat food will be donated to 40 animal charities across South Africa – with Tribeca Public Relations (Tribeca) aiming to do its part in supporting Montego Pet Nutrition’s annual 'Click2Feed' campaign. The campaign aims to support and feed animals in need nationwide. South Africans are invited to visit the Click2Feed website and click on an animal charity of choice. 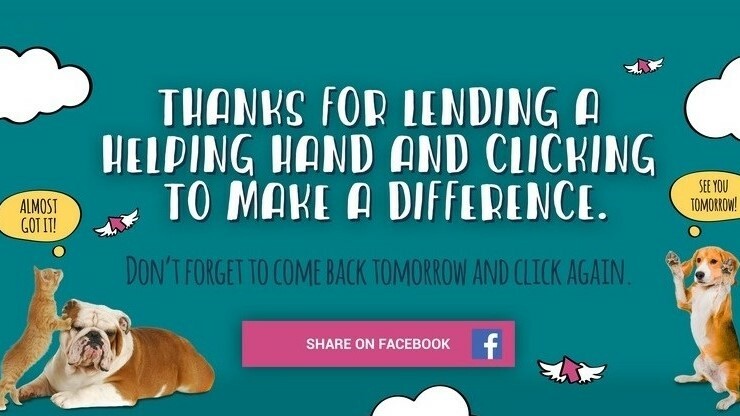 Montego then provides each charity with a meal for every click, which aims to allow South Africans to help animals from their desks at work, at home or via their mobile phones. The 2017 campaign saw just over 23 000 meals being donated to various animal charities, and the aim of the 2018 campaign was to feed even more hungry cats and dogs than ever before with the team setting out to double this. "Until now, the 'Click2Feed' campaign has been driven by Montego’s annual 20 000 meal donation, supplemented by the generosity of individuals donating extra amounts if they wanted to," says Shaun Demmer, account manager at Tribeca. "In order to double the donations this year, we had to think big, which led to Tribeca suggesting we approach corporate sponsors," Demmer adds. Tribeca has secured 11 corporate sponsors including Internet Solutions, Westpack Pet Zone, Cat Box Pet Hyper, Crazy Pets, Market IQ, Animal Kingdom, Quarto Press, Chaos Theory, Popimedia and The Neighbourhood Creative. This means that the 2018 campaign has almost tripled the amount of food donated, with exactly 63 717 meals made available for dogs and cats in need. For more information, visit www.tribecapr.co.za. You can also follow Tribeca on Facebook or on Twitter. Join the conversation by using the #Click2Feed2018 hashtag.